A new fragrance by Bella Freud, and just look at that packaging. It's fabulous! London's favourite mischievous designer and creator of the famous "Ginsberg is God" jumper, knows how to create a perfect scent, drawing inspiration from Moroccan incense, English waterlily and oud. Exclusive to Liberty London, Bella Freud Psychoanalysis Eau de Parfum, a fresh and delicate fragrance, blends intelligent top notes of neroli and petitgrain with warm, atmospheric tobacco flower, grounded by deep, dense resins and a base accord of cedarwood, dry amber and heady musks. With its androgynous scent, it is suitable for both men and women. 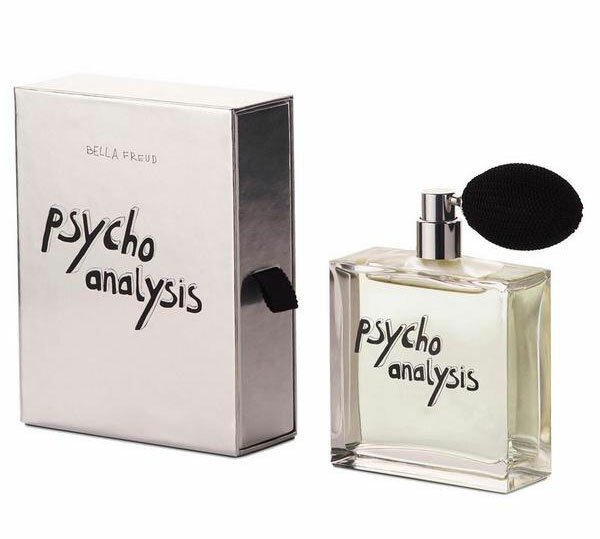 The fragrance is another nod to her great grandfather, the father of psychoanalysis Sigmund Freud. And for those scented candle lovers, the fragrance is also available to create an aroma in your home.